Whenever you watch a Sci-Fi movie, especially from the 80s- 90s period, you will always see that the colors associated with "Futuristic" are silver (duh!) and purple! A light lavender shade of purple! I never figured out what sort of thing inspired that, but I got inspired by the colors and decided to do a nail art! 2. I have chosen a dark lavender as my base color. 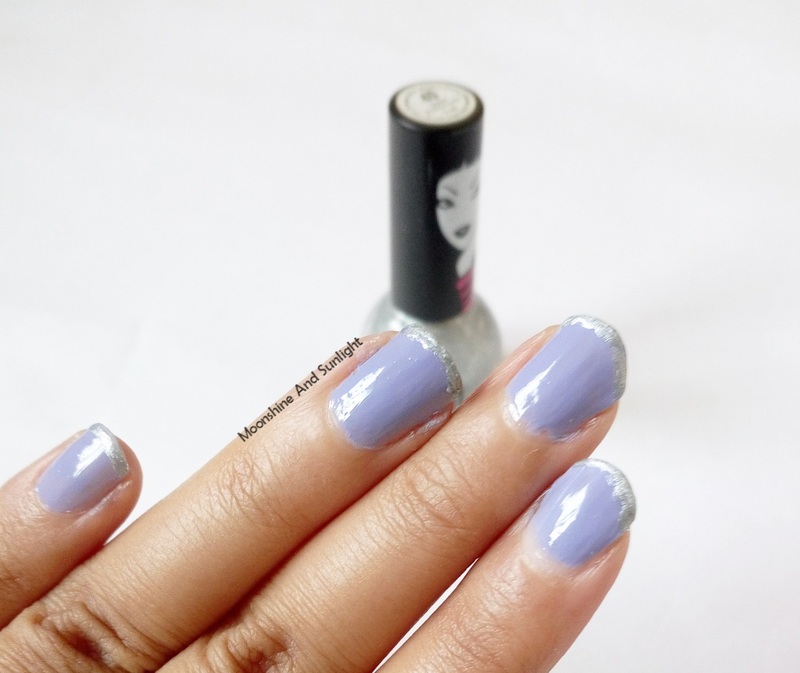 Apply two coats of a lavender shade and let it dry. 3. 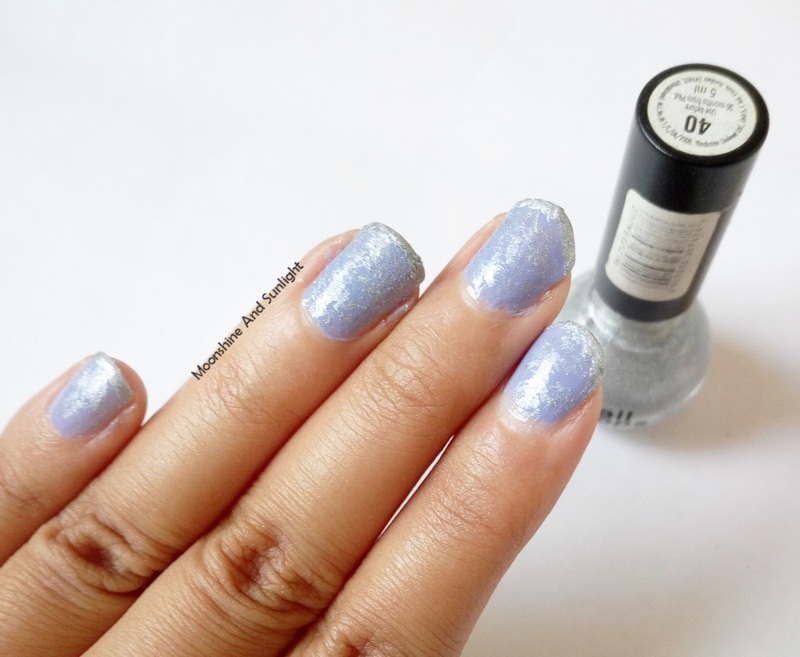 Line the tips of your nails with silver polish, no need to be very precise. 7. 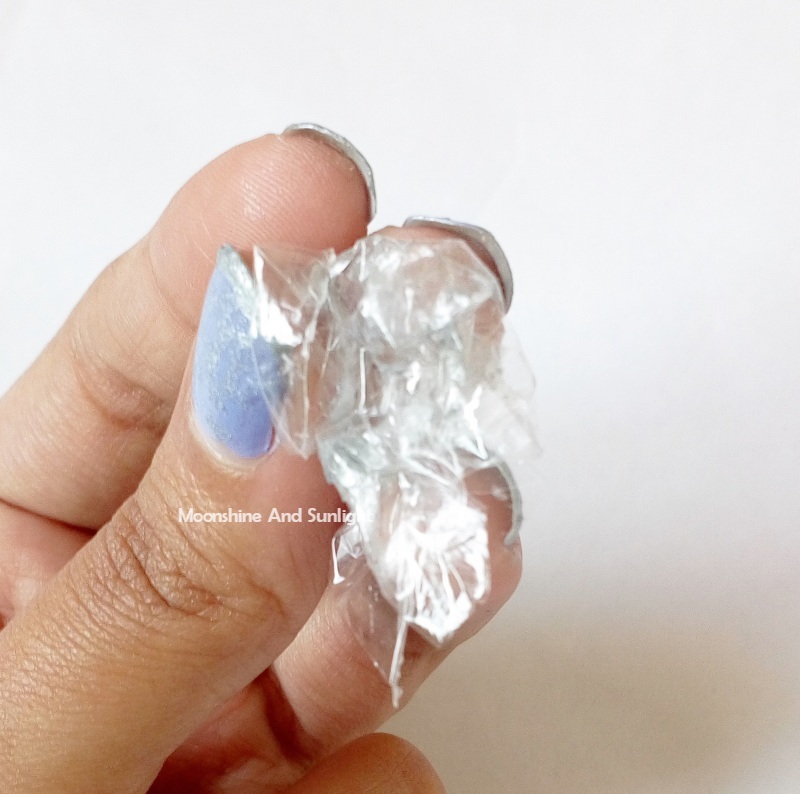 Then just Dab, dab, dab the polish off the plastic ball and on your nails! Repeat till you are happy with the outcome. 8. Apply a top coat if you like, but I have not. The effect is very interesting! Especially under sunlight.. This is more of a quick nail art than an elaborate one, but it looks quite good! 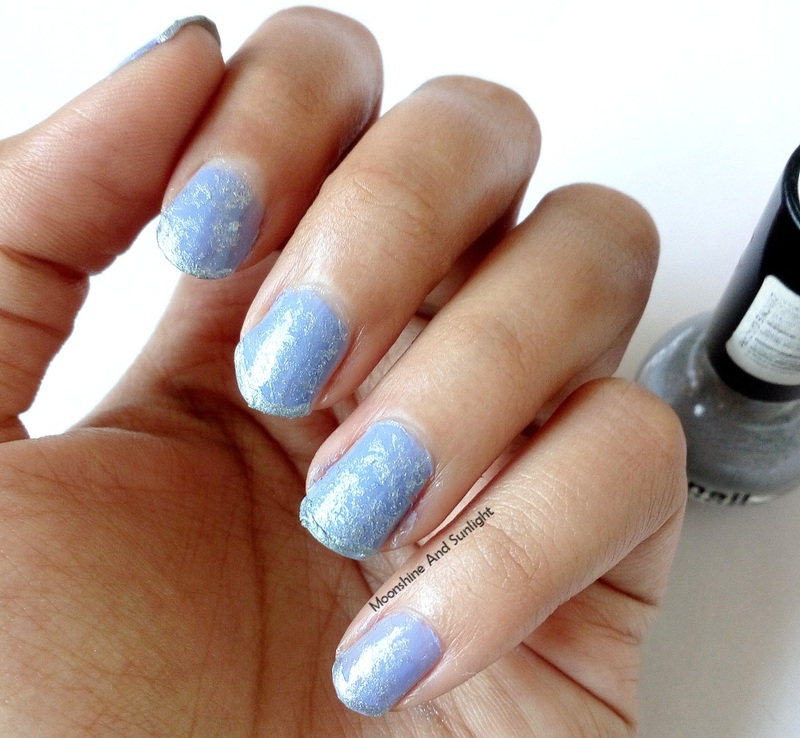 Do let me know if you recreate this nail art, Share it with me on Twitter or Instagram with the hashtag #MNSNails !